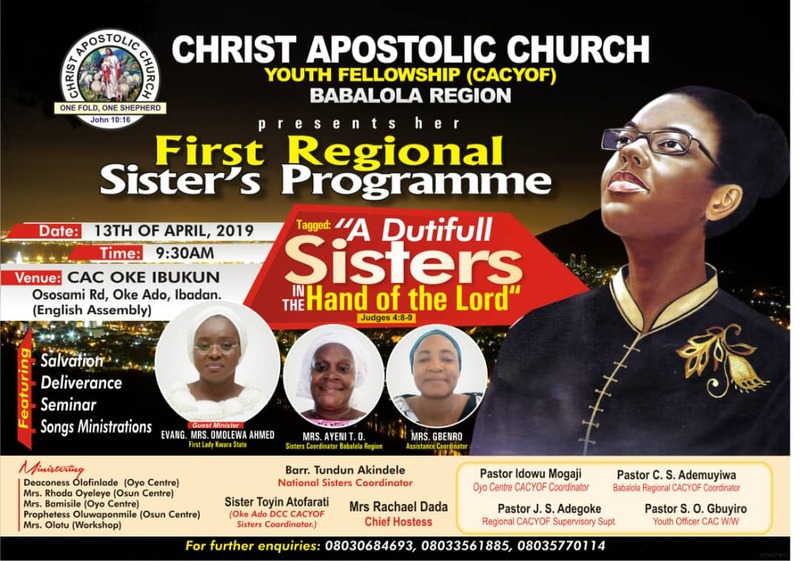 In her quest to raise a generation of responsible sisters for the kingdom business and for all round fulfillment, Christ Apostolic Church, Babalola Region is set to hold first regional programme for sisters. 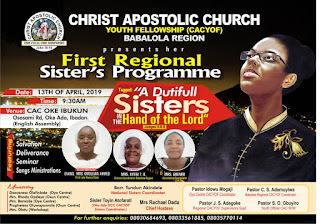 The programme with the theme "A Dutiful Sisters in the Hand of the Lord" will hold on Saturday April 13, 2019 by 9am. 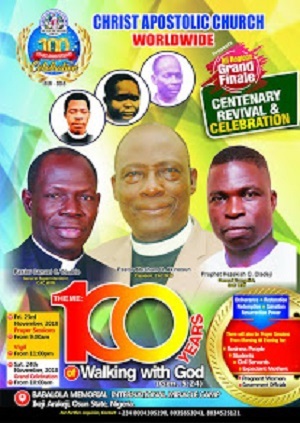 It will hold at the English Assembly of CAC, Oke Ibukun Oke Ado, Ibadan Oyo state. 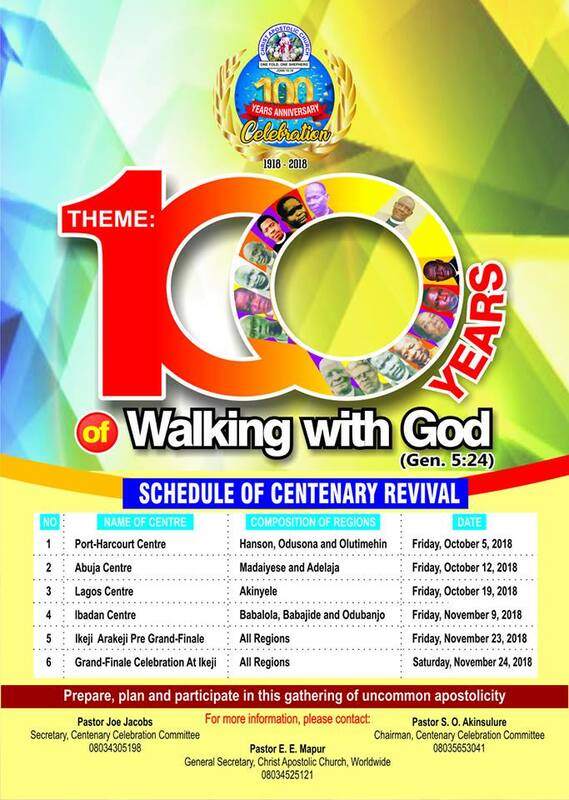 Major features of the programme are salvation, deliverance, seminar, song ministration and many more.